If you enjoy working on the front line helping customers with their finances, then becoming a Customer Service Associate at Capital One may be the right direction for you. 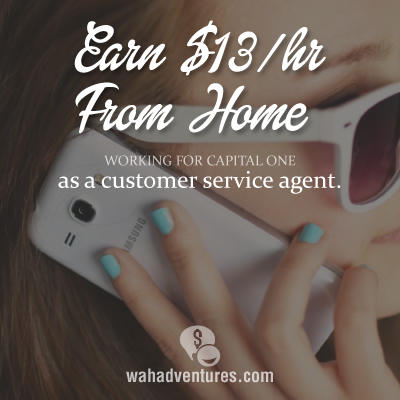 Customer Service Associates are hired to work from home. These positions are location based, which means positions may not always be available in all areas. while they are mostly available in Florida and Virginia, there are still openings in other states from time to time as well. These associates are responsible for taking inbound calls. These calls may require you to respond to questions from customers as well as manage their issues through one call resolution. Associates will advise customers on rewards services and loyalty. Glassdoor indicates that salary for customer service agents is around $27K each year. One individual reported making around $13 per hour. In addition, you may have the opportunity to earn a bonus – as high as $1,000 a month. Does Capital One Offer Benefits? Customer Service Associates are hired as employees and do receive benefits. Capital One offers extensive benefits that include 401(k), medical, dental, and vision. The type of benefits you receive may depend on your position and the amount of hours you work. You will work 30 hours each week. You will be allowed to pick your own schedule, but once chosen, you will have a one year commitment of these hours. What is Required to Work From Home? A High School Diploma or GED equivalent, or Military Experience is required for this position. You will need to have t least 2 years of customer service experience and/or have worked from home for 6 months. A bachelor degree is preferred, but not required. Able to work independently in a quiet work environment. You will first want to complete a job search on Capital One’s career site. Each position will have a link directing you to their online application. Training is completed onsite, therefore, location is important. The training process takes 7 weeks. Monday-Friday from 8am-5pm. This training is required before you will be allowed to begin work. Onsite training only lasts a few days, additional training is concluded from your home. Again, positions are mostly available in Florida and Virginia. However, Job postings for other states are available from time to time. It’s good to know that so many great companies are joining the work-at-home bandwagon. 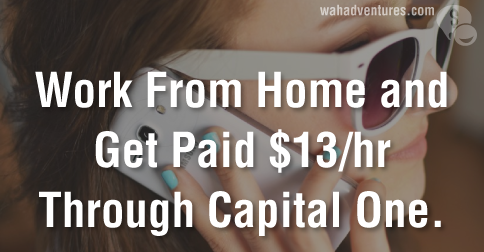 I am trying to find the link to apply to work from home for Capital One. Can you post the link?